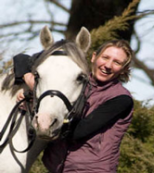 Through her extensive equine veterinary practice and sport horse performance consultancy work, Jane has a vast experience of the demands placed upon the horse and particularly how his conformation contributes to this. She highlighted how the horses’ conformation needs to be taken into consideration when selecting his bridle and bit. 10.15: An Independent Seat – Is Rider Balance a Forgotten Art? With a wealth of knowledge and expertise Jane focused upon the need for a greater awareness of the rider’s role in equitation. She highlighted that the horses’ equipment is only one part of a successful partnership and gave guidance on optimising performance. Having been at the forefront of recent lorinery science research projects, Caroline highlighted the findings and how they can be interpreted to provide a greater understanding of the horse’s bridle and bit. Jason drew from his own experiences and work at HorseBackUK where he has witnessed mentally and physically scarred individuals regain their confidence, dignity, mobility and self-esteem by connecting with and responding to horses. Nicola discussed the various horses in her career and how she has worked to accommodate their individual needs to successfully bit and bridle them. Bitless Bridles may not be for every horse and rider but Mark took a closer look at the considerations and options when using them and share his experiences of riding and training where challenging horses have been his specially. Jane is an Equine Vet specialising in performance horses at Nixon Equine Veterinary Consultancy. 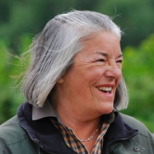 With 35+ years’ experience and close involvement with both UK and European performance horse, mare & stallion gradings; Cambridge graduate Jane’s key interest is the performance horse. Jane is the British Equestrian Federation (BEF) Director of Equine Development and has appeared on Horse&Country TV in her role as Consultant Vet to the BEF Futurity Young Horse Evaluation & Bridge Schemes. 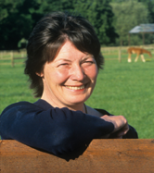 She is also Consultant Vet to Sport Horse Breeding GB (SHBGB) Breed Committee and British Breeders Network (BBN). An Independent Seat – Is Rider Balance a Forgotten Art? Jane is one of our best known British event riders winning Burghley Horse Trials and Badminton Horse Trials twice. The first British woman to compete in the Olympic three-day event winning a team gold medal. Jane has since ridden, judged, instructed and competed in many countries around the world and made a major contribution to equestrian sport and to the promotion of related education, training and welfare of the horse. Additionally many charities benefit from Jane’s work, including the Riding for the Disabled Association and the Fortune Centre of Riding Therapy. She is also President of the British Equestrian Trade Association and a British Eventing steward and an accredited trainer. Jane and her husband Tim run West Kington Stud. Caroline is the Manager of Research and Education at The Academy. She holds a B.Sc. in biology and a Ph.D. in neuroscience and coordinates research into the effects of the bit on a horse and how this knowledge can be interpreted to improve lorinery design and so the welfare of the horse. The Academy Ltd., was developed to dispel misconceptions in bits and bitting through sound science. ‘Jay’, Operations Manager at HorseBack UK, studied engineering before entering the British Forces joining the Royal Marines Commandos where he served for 14 years leaving only due to life changing injuries. 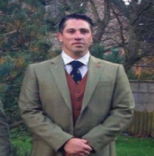 Whilst serving in the Royal Marines Jay was deployed on operations globally and led men in some of the world’s most stressful and hazardous environments, including three tours of Afghanistan. He has a wealth of knowledge of leadership, teaching, coaching and mentoring. In the six years that Jay has worked at HorseBackUK he has helped build and deliver their courses and become an avid equine enthusiast. Jay has experienced first-hand the opportunity of union between man and horse and the therapeutic qualities this special connection can achieve. International event rider, Nicola Wilson is based in Northallerton, North Yorkshire. Currently ranked 2nd in the FEI World Eventing Rankings August 2017. 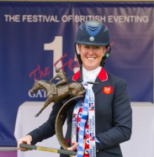 She has been part of the British Senior Team since 2009 on 4 different horses and has represented Britain at European, World and Olympic Championships, winning team medals at them all including Team Silver at The London Olympics 2012 on Opposition Buzz. Nicola riding Bulana also took Team Gold and Individual Bronze at the Strzegom European Championships 2017. She has been placed in the top ten at Badminton, Burghley, Lexington and Pau CCI**** three-day competitions on different horses and has had wins at CCI***. With many wins at CIC*** she has also won the Scottish Open Championships on four occasions and was crowned British National Champion in 2015. "I am not the bitless man, I am the soft hands man. There is not a bit in the country that hurts a horse, it is the rider on the other end of the reins. " Mark is a former International event rider who supports a total system approach to his work training young and challenging horses. Mark's methods with strong horses improved rider confidence by emphasising the correct body-weight position and leg use preventing the rider inadvertently sending the horse contradictory messages and so enabling them to work better as a team. Philip, today’s Conference host is an award-winning TV commentator and presenter. 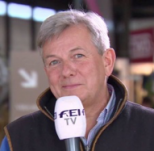 He brings to the day a wealth of knowledge having spent many years interviewing equestrian athletes, coaches, course designers and medal winners. He is also owner and Managing Director of Verm-X Health Care the leading natural intestinal hygiene control product.